If you’ve been following our blog for any length of time, you know that we believe communication is at the heart of every school’s success. That includes your school reputation, public relations, school marketing, customer service, and crisis management. In each of these areas, without rock solid communication strategies in place, you risk losing control of the situation. When it comes to losing control in a crisis, where the safety of students and staff is imperative, you can’t afford to be complacent. 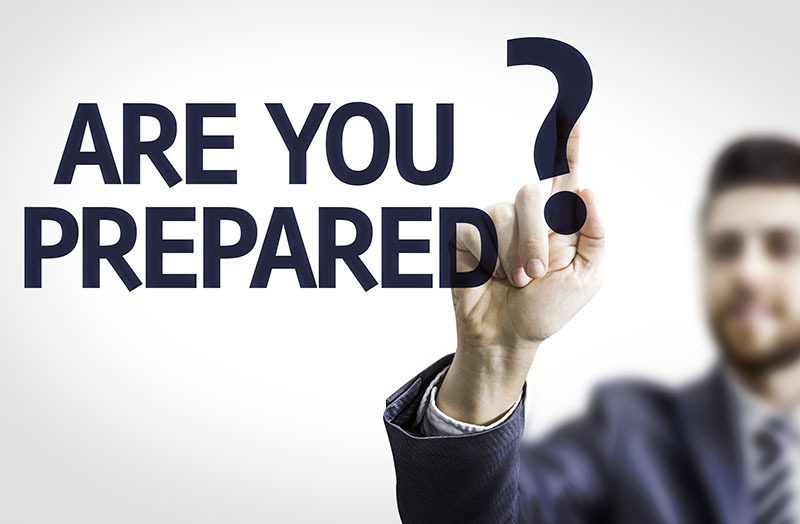 If you don’t already have a comprehensive crisis communication plan in place, don’t delay. If you have one, it might be time to review it, practice it, and update your plan. Trust and confidence play a pivotal role in accomplishing your school’s goals, especially when it comes to your students’ safety and security. In addition to clear and concise communication, a proactive, well-organized emergency response plan will give parents and students peace of mind, reduce progress-inhibiting panic in the event of an emergency, and act as a deterrent to future incidents of crisis. Ensuring your staff and students are well-prepared (by way of professional development training and lockdown drills) will better equip your community members to respond. The drills will help you recognize weak points and make the necessary changes before an actual crisis. Be sure your protocols include a multi-pronged approach that provides resources and directions. Emergency pages, instructional videos, safety committees, alert notifications, and a detailed website and social media pages will all prove to be crucial tools in emergency situations. Technology is available to help schools implement immediate solutions. The School Superintendents Association (AASA) has sponsored an exciting project called Safe Classroom, which is powered by CrisisGo, to put a safety app on every classroom computer by the end of 2018, for free. It is AASA’s goal to help keep over 50 million students across our nation safer. Schools can send an audible alert to every classroom instantly, so staff and students will immediately know of any significant safety threat. Also, the staff in those classrooms can remain in communication with safety administrators to receive updated information and share any critical information they may have. To sign your school up for this free resource, go to https://www.crisisgo.com/offers/safe-classroom. You can also view the Safe Classroom explanation video to learn more. The first step in creating a safer environment is to review your school’s current safety parameters and policies and gather incident reports, security breaches, and other troublesome occurrences. This will give you a baseline of where you need to make improvements. Most schools have adopted an emergency plan (often state mandated), so review what you have in place now. Conduct a survey of your community regarding areas of safety concerns. The Ophelia Project provides many free resources to help you get started. Check out their needs assessment survey and their school climate survey (with a focus on bullying). But these can easily be adapted for your school’s priorities. A comprehensive safety checklist, shared by Adventist Education, is also helpful. Assemble a planning committee of staff (including a wide range of personnel like administrators, teachers, school psychologists, nurses, facilities personnel, transportation personnel, etc.). Include student and parent representatives as well as representatives from organizations that represent the interests of those with disabilities, minorities, and religious organizations. This will assure that you include a variety of concerns. Next, you will invite community partners like first responders, local law enforcement officers, school resource officers, fire officials, mental health practitioners, and emergency medical services personnel. Share the results of your survey, and ask your committee about their safety concerns. The team's task will be to create goals and objectives now to meet the needs you’ve identified. The next phase is to plan our course of action for each threat or hazard identified (natural hazards, technological hazards, biological hazards, adversarial and human-caused threats). This is where you will identify your school’s course of action for each situation. You will format your plan. Consider using Guide to Developing High-Quality School Emergency Operations Plans provided by FEMA. This extensive guide can walk you through the complete crisis plan development process. Increase adult supervision in places where there are high instances of bullying (e.g., playgrounds, cafeteria, busses, or bathrooms), and install convex mirrors to increase the staff’s visibility around blind corners. Designate one single school entrance, or upgrade chain link-style fences with wrought iron gates, and ensure they are locked at all times. Partner with local community centers to negotiate mentorship programs, extracurricular opportunities, and facility use. Develop relationships with law enforcement, emergency responders, victims’ assistance agencies, and other community leaders in your area. For more ideas, check out Safe Schools Hub (from Australia) and their National Safe Schools Framework. Decreasing threats to your school’s safety can be as easy as promoting a vigilant, inclusive, and well-informed school community. Each school crisis plan should have an educational component, enabling all school community members to safeguard against hidden dangers and report safety concerns. Integrating communication skills and conflict resolution into a curriculum and enforcing an anti-bullying policy can help create a positive school culture. To be sure everyone understands and knows their role in your crisis plan, effective school communication is critical. This means using an integrated communications approach. Provide detailed and clear information and instructions. Tell your side of the story in your own words. Get your community in contact with the proper agencies and aftercare resources (e.g. police investigators, weather websites, counseling/relief organizations, and other resources). Plan ahead. Pre-draft emergency messages for your school to use during a crisis. Good communication is best achieved when stress and emotions are at a minimum. Have an emergency alert web page. An emergency alert is a web page/message you can quickly publish on your website anytime, day or night, in the event of an emergency. Use the immediacy of social media to your advantage. Releasing a statement on Facebook or Twitter will present a consistent front to parents and enhance your communication with them. Make sure your school’s website is responsive so it is easily accessible from mobile devices. Make use of apps like CrisisGo to notify parents of procedures, emergency notices, and follow-up outcomes. If possible, share stories or create a video for your website highlighting the confidence your drills and practice bring to staff and students from the crisis management plan enactment (share testimonials). Release developing information via social media channels in the event of an emergency. For information on how to implement engaging social media channels, enjoy: Creating effective social media strategies, Part I & Part II, Using School Social Media When Tragedy Strikes. Use e-mail to provide updates, announcements, and important news. Include links to more detailed information on your website right from your e-mail. E-mails tend to have higher open rates and so are a useful option if it isn’t an urgent message. Parents also appreciate e-mailed online newsletters (instead of finding a month-old, crumpled stack of papers in the bottom of a backpack). Consider featuring a YouTube instructional video like those produced by airlines and theme parks. This is a very effective use of video to inform your community of your safety measures (and to reassure parents and students of the importance your school places on their security). Plan for small- or large-group meetings to explain your safety measures. Consider involving parent groups like the PTA or PTO or site council members. Make yourself available at school and at public forums to answer questions. Agree to meet in person with concerned parents, and encourage parents to share their concerns with you. Include an explanation of your commitment to safety in your student handbook. Send home newsletters, letters, or flyers with resources and information after an emergency. Provide contact information for parents and students. Incorporate safety training into your staff’s professional development sessions. Schedule emergency lockdown drills to familiarize your students and staff with your safety protocols. Your school’s planning, training, and crisis management strategy efforts may be some of the most important work you do. For decades, students and staff have drilled for possible school fires. Their efforts have paid off because, in spite of the thousands of school fires that happen every year, the damage to life and property is minimal. When staff and students are prepared, similar outcomes happen for other crisis situations. So, build your plan, train and drill it, and feel confident that your crisis management plan and the time it takes to implement it will keep your school a safe haven for the students in your care. What could be more rewarding than that?